In Spirited Away ten year old Chihiro and her parents are traveling to their new home when they suddenly get lost. Her father had taken a wrong turn they come across what her father assumes is an old abandoned amusement park. He insists that they explore the park. They cross an old dried up river-bend during their exploration. As her parents sit down and eat at a Restaurant stand Chihiro finds a beautiful bathhouse where she meets a boy named Haku who warns her to cross the riverbed again before sunset. She runs to find her parents only to discover that they have been turned into pigs and that it is now too late to cross the river-bend and it has flooded again. Haku has Chihiro get a job at the bathhouse from the man Kamaji, a spider demon who commands the susuwatari. Chihiro is sent to the Witch Yubaba's house. She owns the bathhouse and she decides that Chihiro can have a job. She gives Chihiro a new name, Sen, and while visiting her parents finds a goodbye card only to realize that she has forgotten her own name. Sen helps a polluted river spirit named No-face who gives her a magic dumpling as a tip for his gratitude. Later on she finds that Haku has turned into a dragon and is being attacked by paper shikigami. She follows him to Yubabas house only to find her twin sister there who is very unhappy as Haku stole a golden seal which holds a curse. With Yubaba's son who had been turned into a mouse Sen feeds the magic dumpling to Haku making him vomit out the golden and a black slug which she smashes with her foot. Sen decided to return the golden seal to Yubabas sister and apologize for Haku. Yubabab is angry that so much damage was caused to her bathhouse and orders for Sen's parents to be slaughter but then realizes that her son is missing. She promises to free her parents should Sen bring back her son Boh. After bringing Boh back Sen is told the curse on her parents will be lifted if she could identify them out of a group of pigs. She correctly states none of the pigs are her parents. She is given her name Chihiro back and Haku takes her across the dried riverbed to be reunited with her parents who are no longer pigs and do not remember anything that had happened. 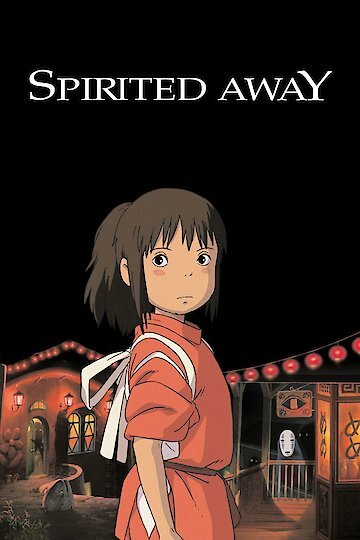 Spirited away is a great adventure movie for everyone to see.